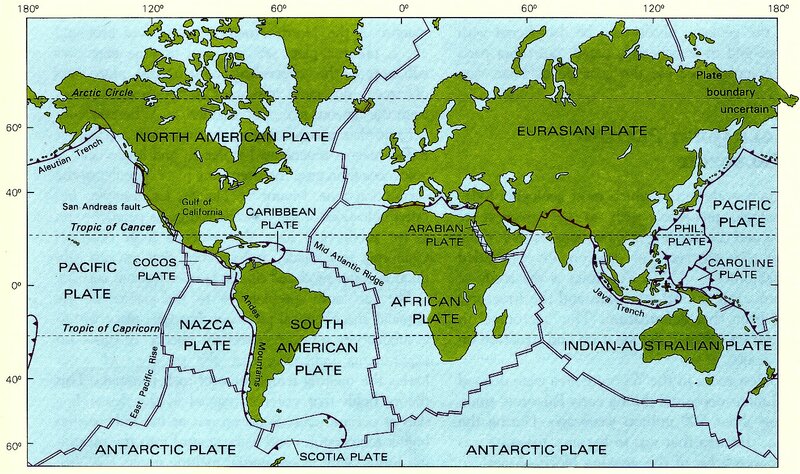 What tectonic structures delineate the split between the Australian and Indian tectonic plates? This would make sense given the differences in the collisional history of the two landmasses. The structures are not mature or well defined and deformation was thought to be diffused, i.e., distributed over a large area. Earthquakes such as the M8.6 2012 Indian Ocean earthquake (largest strike-slip earthquake on record) appear to accommodate some, if not all, of the deformation. Seafloor geodesy is relatively a new field. Most studies are limited to areas near the coast, e.g., US (Cascadia), Japan etc. What caused the bend in the Emperor/Hawaii chain of islands, 45 million years ago? What tectonic structures exist on the Eurasian - North American plate boundary in eastern Siberia? How do tectonic plates move upward? What structures form due to the melting of subducting plates?